Children's feet are always growing. WHY?? Why do they grow so fast? I don't know, but with 3 kids I know I'm ALWAYS on the hunt for wonderful shoes that are soft and comfortable and affordable all in one! 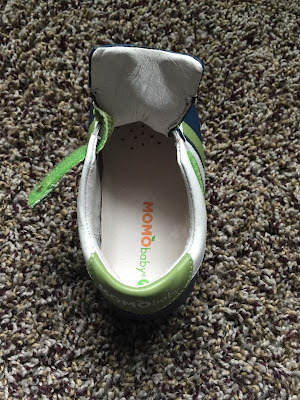 I stumbled on Momo Baby and couldn't wait to try the cute little sneakers I saw! Super easy to put on with elasticized velcro closure. Just pull them tight, push them down and good to go for walking or running around. We all know toddlers are impatient and like to do everything themselves. So these quick and easy z-straps are perfect. 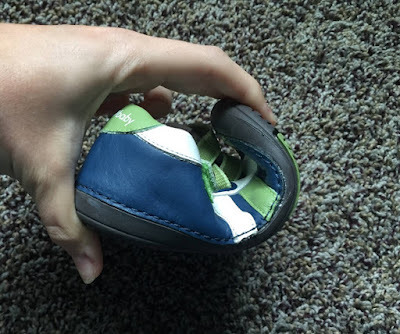 It is very important for baby/toddler shoes to bend and fold and mold to their feet. We have 26 bones in each foot and a child's foot grows so rapidly in that first year. Since those bones are growing at a very rapid rate, they need growing room in their shoes. And soft shoes that allow their feet to grow and move the way they should is VERY important. I was super happy to see this feature in Momo Baby shoes and you can see that flexibility here. 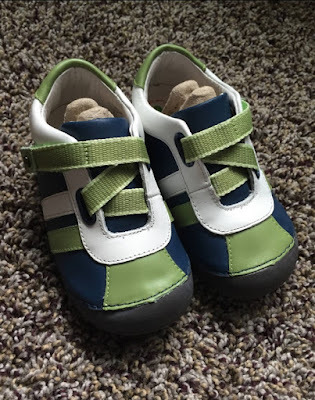 These shoes are PERFECT for an active toddler and great for Fall to keep his feet covered. 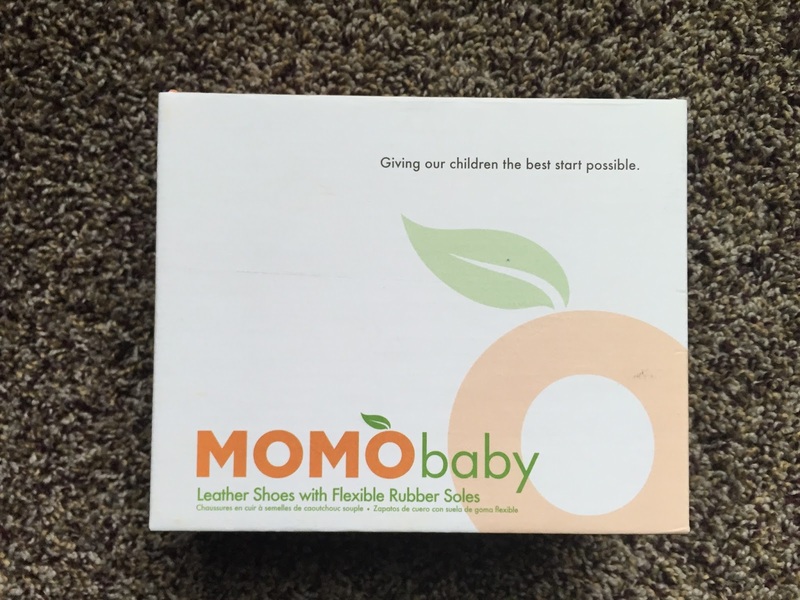 Momo Baby has lots of different styles from soft sole 0 months up to size 9, sneakers, sandals and more. Price: The ones I received are $54. But they are definitely worth it! The soft sole shoes (bottom above) are $25. I like the Morgan leather boots. I'd choose the Momo Grow Double-Strap Leather Sandal Shoes. 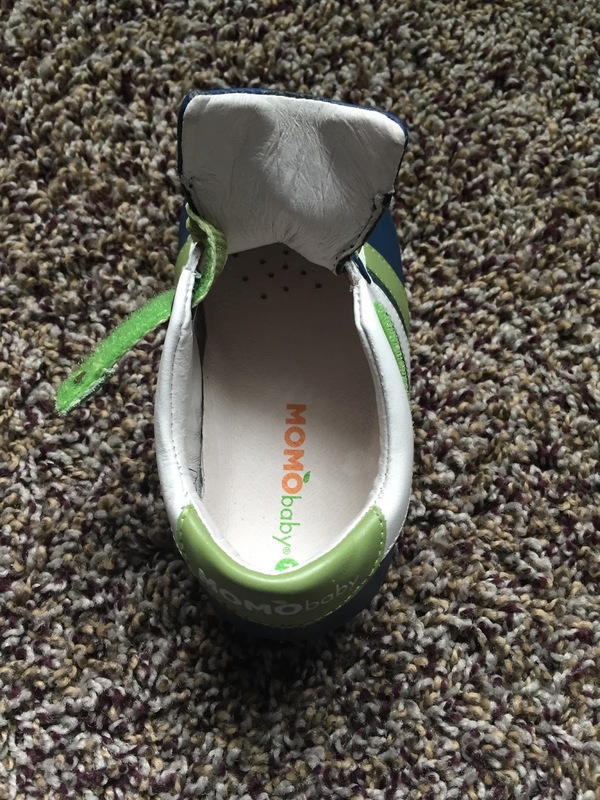 I also really like their Momo Baby Leather Shoes - Z-Strap Sneaker. So cute! I';d get the glow leather sneaker shoes in Spencer for my son. I like Momo Grow Leather Sneaker Shoes - Spencer Gray for my son. I'd choose the mono grow leather sandal shoes in pansies or the Peyton leather boots for my daughter! I'd choose the Spencer White Leather Sneakers! So cute! I would choose the Grow Leather sandal in Petite Bow. Rockstar Guitar would be my choice! The Z strap sneaker looks great for the little one! Thanks so much for the chances to win. I like the Toddler & Little Boy Momo Kyle Dark Gray Grow Leather Sneaker Shoes the most of all the shoes on the web page. I like the Momo Baby Infant/Toddler Soft Sole Leather Shoes - Checker Loafer. I think I would get the hungry caterpillar soft soled shoes. I Loooove the Checker loafers! The Momo Maternity "Mina" 2-in-1 Hooded Down Puffer Jacket looks very nice!